Just as with a human baby, you will need to ensure the entire house is safe from anything the puppy could get into and be injured or harmed. Begin by getting down on the puppy's level. This will help you assess if there are any exposed electrical cords that could be chewed on. 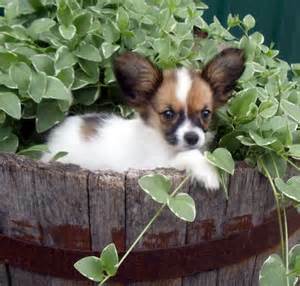 Look for places your puppy could get stuck. Are there places where the puppy could fall? By puppy-proofing your home now, you can avoid a lot of heartache later. Look around your yard. Will your puppy be spending time outside unsupervised? Are there holes or gaps in your fence or gate where your puppy could escape? Are there chemical fertilizers, herbicides, or insecticides within his or her reach? Think of your puppy like a small toddler. Would you leave a three-year-old toddler alone in your house? Don't be in a hurry to allow the puppy total freedom of the entire house? It may take months or even a year to get to the point where the puppy can have full reign of your house. Allow the puppy to explore his or her new home, but only under your supervision. Confinement in an area of the house where you normally spend time will prevent many housebreaking and chewing accidents. Block off your puppy's special area with baby gates. If you need yo go out and cannot supervise the puppy, put the puppy in his or her crate or a playpen. Often, reinforcing acceptable behavior means preventing misbehavior. 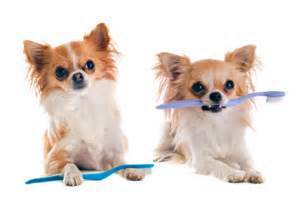 Please visit our Dentistry page and our How to Brush Your Pet's Teeth page for more information. Use stainless steel food and water bowls. They are durable and do not rust, break, or chip. Puppies that are teething will chew on anything in sight, which can be a problem with using plastic. Stainless steel is also more sanitary and easy to clean. A properly fitting collar and sturdy leash are essential to take your new pet on a walk. Many cities have leash laws requiring your dog to be on a leash. Consider having your pet microchipped for permanent identification and protection against loss It is also a good idea to keep a collar with tags on your pet. Make sure the collar is snug enough not to slip over the puppy's head but not so snug as to be uncomfortable. As you pet grows, it is important to remember to adjust the tightness of the collar to a proper fit. Please visit our Microchip Identification page for more information. Grooming your puppy every day teaches her or him to enjoy being handled by people. It is a good way for you to bond and to monitor his or her skin and coat for potential signs of health issues or problems. The best time to brush or comb your puppy is when he or she is sleepy, as he or she will enjoy your gentle touch. Rubber toys (made of the heavy rubber) are almost indestructible and may last quite some time. 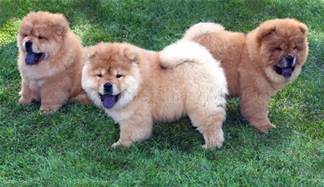 Choose a smaller size for young puppies and a larger size for large puppies. Your puppy can be left to play with these toys unsupervised - IF AND ONLY IF THE RUBBER CANNOT BE TORN IN PIECES AND THEY CANNOT BE SWALLOWED. MAKE SURE IT IS A SAFE TOY! Squeaky toys and balls can be used when you are teaching the puppy new obedience commands. They could be easily chewed into pieces, so it is always a good idea to watch your pet when playing with this type of product. 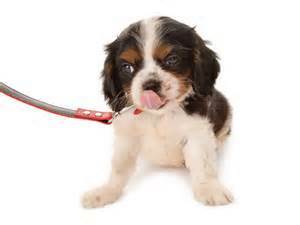 Visit our What You Should Give Your Dog to Chew page for more information. An adult should always be present when children are meeting a new puppy and anytime they play with the puppy. 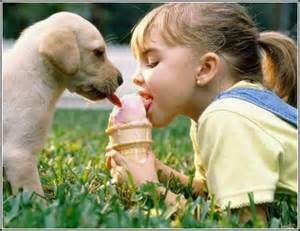 Children often don't realize they need to be extra careful and gentle with a small puppy. It is easy to inadvertently injure a small puppy. A responsible adult should always be there to supervise when children are playing with a puppy. When you bring your new puppy home, it is always a good idea to have the children sit down and let the puppy come to them. Take precautions to keep the puppy from being scared or injured. 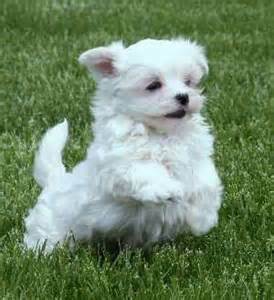 Explain to the children that they should not scare the puppy by moving quickly or making loud noises. They should not rush at the puppy or try to pick the puppy up. Explain that, if they remain seated on the floor, the puppy will probably climb on them. Explain the puppy is teething and likes to bite and chew, but that it is not trying to hurt them. Advise them of how to handle it if the puppy starts to bite or chew on them, or on one of their possessions. If you have other pets in your home, they have lived in the house for some time, and they may find it difficult to adjust to sharing space with a new puppy. 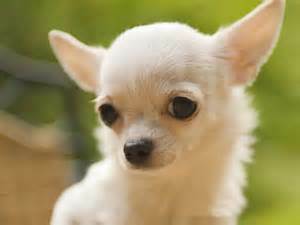 Your older pet(s) may be unhappy to see somebody new and may growl or hiss, or bark, or try to hurt the puppy. 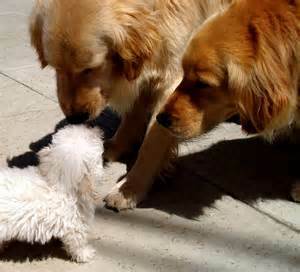 On the other hand, your older pet(s) may be easygoing and friendly and may like the new puppy. Some pets become friends right away and even play and sleep together. However, until you know how your resident pet(s) are going to react, you should take precautions so that your puppy doesn't get scared or injured. It is best to introduce your new puppy to other household pets in a neutral area outside the home, where your older pets may not be so protective of their territory. A nearby park or a neighbor's yard make good places to make introductions. Make sure all dogs are on leashes and that all pets can be controlled by you. Allow them to sniff and investigate each other. Give your older pets time to get used to the puppy. Don't yell at your older pet(s) if the reaction is not what you desired or expected. Pets, particularly dogs, have their own rules, and your older dog will let the new puppy know what those rules are. Sometimes they let the puppy know by growling. It's ok - the puppy's mother probably used the same method. 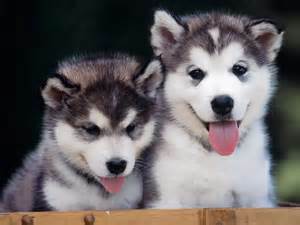 Puppies have temporary teeth which typically erupt around one month of age. Temporary teeth fall out easily and are often not found. Many times the puppy swallows them. Occasionally, temporary teeth persist beside the adult teeth and require extraction in order to prevent misplacement and decay of adult teeth. Permanent teeth generally erupt around 4 months of age and permanent canine teeth erupt between 5 - 6 months of age. Begin dental care early. Dog's teeth should be white and should not have tartar build-up. Dogs are rarely cooperative when it comes to handling their mouths. Therefore,it is wise to start dental care when you get a new puppy so they grow accustomed to having their teeth brushed regularly. You should use a toothbrush and toothpaste designed specifically for dogs. Do not use human toothpaste. Your dog's teeth should be brushed several times a week. 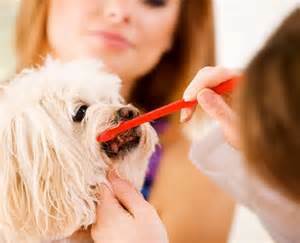 Once your dog reaches one year of age, you should schedule annual dental cleanings by your veterinarian. The frequency of baths will vary according to your puppy's coat texture, length, health, and environment. Shaved coats only need to be washed when they are dirty. Short-haired puppies need to be bathed twice a year on average and long-haired puppies need to be bathed approximately every three months. However, if your puppy looks or smells dirty, bathe more frequently. Just be careful not to bathe too frequently as this will dry our your puppy's skin and cause itching and irritation. Lukewarm water should be used to bathe your puppy. Use a special shampoo for puppies. Do not use human products. Human products are too acidic and irritate the skin. Before bathing your puppy, brush out his or her coat and remove any tangles. Wet your puppy's entire body and lather up the shampoo. Be careful not to get any shampoo in the eyes and ears. Allow the shampoo to work for a few minutes and then rinse thoroughly. It is best to rinse the head last, or your puppy may want to shake. 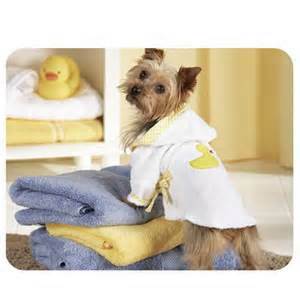 Wipe your puppy down with a soft towel and leave him or her in a warm room. 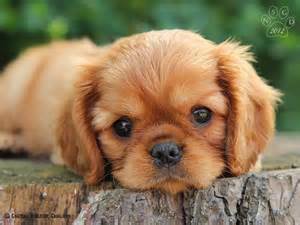 In the summer, you can take the puppy outside or for a walk, as long as he or she does not have a tendency to roll around. If your puppy will tolerate it, a blow dryer (on "low" or "cool" setting only) may be used. 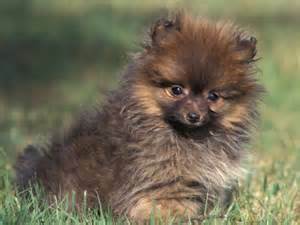 Be careful not to burn your puppy and be sure to brush her or him out while drying. All puppies need proper nail care. Most pets are indoors a great deal of the time where they walk on softer surfaces such as carpet and their nails don't wear down to an acceptable length. Therefore, dogs that are indoors will need to have their nails clipped regularly. Nails that are left too long can become very painful on your puppy's feet, and painful for you if your puppy jumps up and scratches you. Dogs who spend more time outside naturally wear their nails down from being on the harder outdoor surfaces, so their nails may not require trimming as frequently. Handle your puppy's feet at a young age so when it comes time to trim his or her nails, it won't be as much of a struggle. When trimming your dog's nails, use nail clippers made for dogs. Hold your dog's foot gently and gently push down with your thumb at the base of each nail. This will cause the nail to extend slightly, making it easier to see your dog's nail. Be sure to avoid cutting the quick at the nail bed. The quick is visible in clear nails as a pink triangle. In dark nails, the quick can be detected by looking for traces on the underside of the nails. In both cases trim below the marks. Cut each nail back just a little at a time until you get close to the quick. 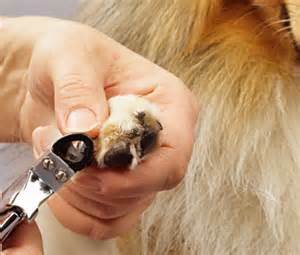 Many people prefer to have our technicians trim their dog's nails to avoid any problems and pain for their dog. We are happy to trim your dog's nails. It just takes a few minutes! Please contact us to set up a nail trim appointment for your furry friend. Regular brushing will keep your puppy's coat shiny and healthy. No matter what type of coat your puppy or dog has, hair dies and new hair grows in its place. Regular brushing and bathing helps to remove dead hair. The frequency and type of equipment used will vary depending on the type of coat and your dog's health and environment. Outdoor dogs shed their coat twice a year (spring and fall) corresponding to the changes in daylight. Indoor dogs are not as affected by changes in light, so they shed their hair throughout the year, with two periods of increased shedding in spring and fall. Although short coats may not require frequent grooming, brushing once or twice a week is necessary. Using a rubber brush and working against the line of the coat will loosen dead skin and hair. Then use a bristle brush and work with the line of the coat, brushing the puppy's entire body. Finish off by polishing her or him with a damp chamois cloth to add sheen to the coat. Because of your puppy's coat density (both undercoat and topcoat), your puppy should be brushed every other day. Use a bristle brush and work against the line of the coat to loosen as much dead skin as possible. Then use the same brush and work with the normal lay of the coat to remove the loosened dead skin and hair. A wide-toothed comb can be used on the paws and tail. Puppies with long hair require daily brushing. Use a slicker brush to brush along the normal lay of the coat to remove mats and tangles. Because the hair is long, the skin may be pulled when attempting to untangle knots, so proceed delicately to avoid hurting your puppy. 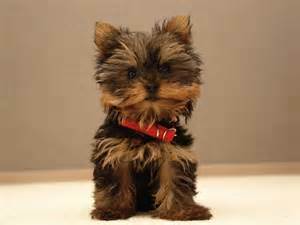 For puppies with silky coats, such as Yorkshire Terriers, using a bristle brush will add sheen to their coat. For puppies with a lot of hair (i.e. Scottish Terriers, Cocker Spaniels, etc.) dead skin and dead hair can be removed with a wire brush. A wide-toothed comb can be used to finish untangling the hair behind the hocks. Use scissors to even out the coat length and trim away hair that is likely to become tangled or trap debris (i.e. interdigital spaces and footpads, breast, hocks). Be careful when trimming hair not to cut your puppy's skin. A wide-toothed comb can be used on the tail, hocks, and paws. Consider a microchip for your dog. We insert microchips, which contain information on both the dog and the owner, under the skin of your dog. Please visit our Microchip Identification page for mush more information. This is a terrific way to protect your pet from loss. It is much easier to prevent infections than to treat them. In keeping your puppy healthy, taking care of his or her ears is just as important as feeding your puppy. Ear care should be part of your regular grooming routine. By checking your puppy's ears often you will notice any signs of irritation earlier and prevent painful and hard to treat ear infections. Inspect your puppy's ears weekly. Puppies' ears are either erect or long and floppy. Because the pinna (long cartilaginous projecting portion or the external ear) cover the external auditory canal in long-eared dogs, their ear canals are not well ventilated and need to be checked more frequently. The type of hair growing on the ear (long,curly, short, etc.) is also an important factor. Weekly ear inspections and prompt veterinary treatment at the first sign of infection are important. Don't wait until your puppy is in pain or scratching at his or her ear. 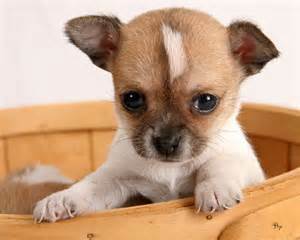 To clean the ears, use a solution specifically formulated for the puppy's ears. Most ear cleaners work by breaking up and liquefying wax in the ear canal so it can be safely removed. First, push the tip of the bottle into the canal and squeeze out a steady stream of solution and pull out the tip. Don't insert the tip too far into the canal and gently squeeze, don't put too much pressure on the canal. Second, massage the base of the ear for thirty seconds. Use a cotton compress to wipe the canal without pushing the wax farther into the ear. 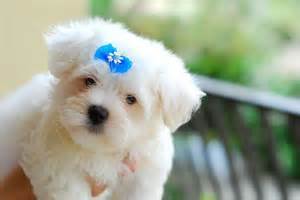 Never use a cotton swab unless directed to do so by your veterinarian. It is always a good idea to have your veterinarian demonstrate proper ear cleaning technique for you prior to your first ear cleaning attempt. Eye care is important for every breed of puppy. It's important to clean your puppy's eyes of any discharge, but there will always be some amount of tear-staining whenever hair rests around the eyes. Tear-staining results from the hair absorbing moisture produced by the eyes. When cleaning your puppy's eyes of discharge, you can use regular tap water with a cotton ball or tissue to clean the eye, but the preferred method is to use a saline solution or eyewash. 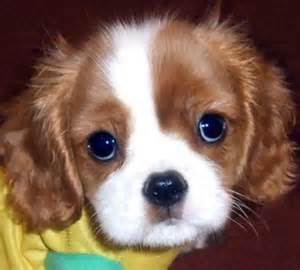 Lift the puppy's head, open the upper eyelid and place a few drops in her or his eye. Use a tissue to gently wipe away the overflow. It is best to have your veterinarian demonstrate proper technique and discuss your particular puppy's needs prior to caring for your pet's eyes. Be sure to seek treatment at the first sign of infection. Your puppy was born with natural defenses against disease. These natural defenses include his or her skin and coat, intestinal mucosa and immune system. Their natural defenses can be put under heavy strain by physical stress, adverse weather conditions, and injuries. The skin and coat help your puppy's body be protected from temperature changes, traumas, UV radiation, and infectious organisms. The intestinal mucosa acts as a natural barrier against some adverse external factors. A dog's intestinal flora multiplies to prevent potentially dangerous bacteria from developing. As with humans, the immune system is a powerful defense mechanism that uses natural antibodies to protect against free radicals, weather conditions, infectious agents, pollution, and stress. Vaccinations help prevent contagious and sometimes fatal diseases. Some are mandatory, while others are only recommended. They are most effective when they are given at fixed dates with booster vaccinations. 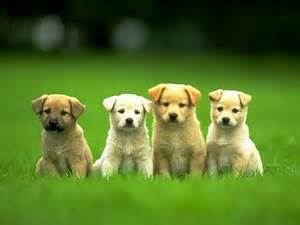 Puppies usually begin a vaccination program at the age of 6 to 8 weeks. Vaccinations supplement the natural defenses of your puppy. Your veterinarian will help you choose the vaccination program best suited for your puppy, depending on the risks he or she faces from environment and lifestyle. Please visit our Vaccination Protocol and Wellness pages to learn more. 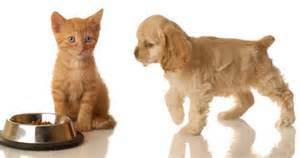 Deciding whether to spay or neuter is an important choice which must be considered carefully. It is important to weigh any potential benefits of spaying or neutering against the possibility of being able to breed your dog in the future. To learn more about us, our services, and puppy care please browse these links as well as the remainder of our website. Please contact us if you have any questions or concerns and/or if you would like additional information.